Justin and Jill Seay are missionary associates with Make It Clear Ministries in Orlando, Florida. Currently serving at Alabaster Bible Church in Alabaster Michigan. Justin trusted Jesus Christ as his Savior when he was 17 years old. Justin graduated in the missions program at Appalachian Bible College in 2004. Justin is originally from Fayetteville WV and his wife Jill is a local girl from Tawas City, MI. They were married in 2004 and have three children, Haleiwa, Keanu, and Aloha. 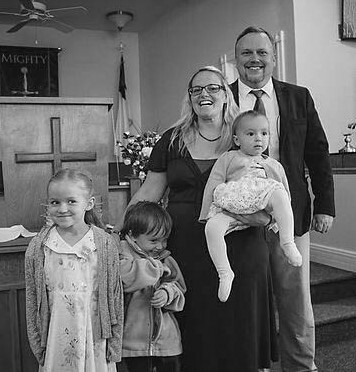 Since 2007 they have ministered to LDS people in Fayette, Raleigh County, West Virginia, as well as trained national leaders in Benin, West Africa, Ilocos Norte, the Philippines, and Laie, Hawaii.